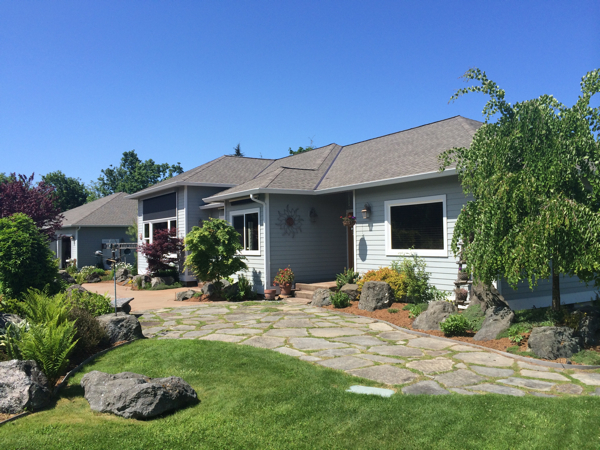 This cute home sits on 3 acres with a small water view of Sequim Bay just on the east side of Sequim. It is 3 bedrooms with a detached double garage. One one side of the property is a little creek in a gulley, which means privacy. In fact, this property is very private. 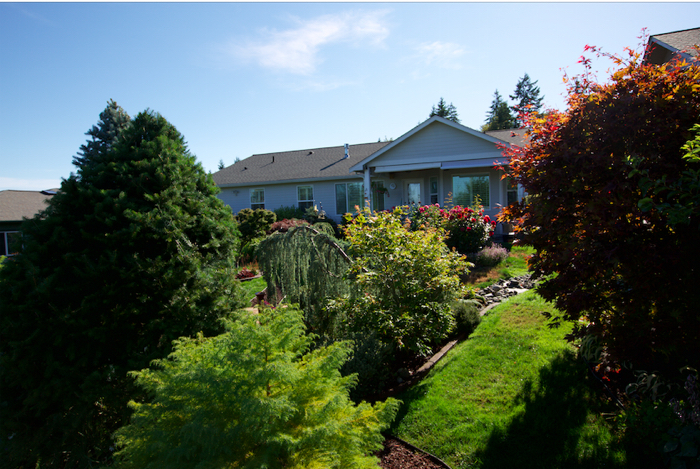 As I’ve written elsewhere, the homes in Sequim that sell are described as the “best homes in the best areas at the best prices.” I was privileged to represent the buyer on this purchase. This property sold for $250,000. This Bell Hill home sold to just the right buyer, and sometimes that’s what it takes. It’s an older home on a couple of acres with a wonderful water view. This 3 bedroom, 3 bath Bell Hill home on two levels is very special, and the large auto shop with a commercial lift appealed to this buyer. It’s not easy finding the perfect Bell Hill Home. Many have a water view, or course, but they also are more pricey than most homes in the area. This Bell Hill home sold for $515,000, and I represented the sellers. 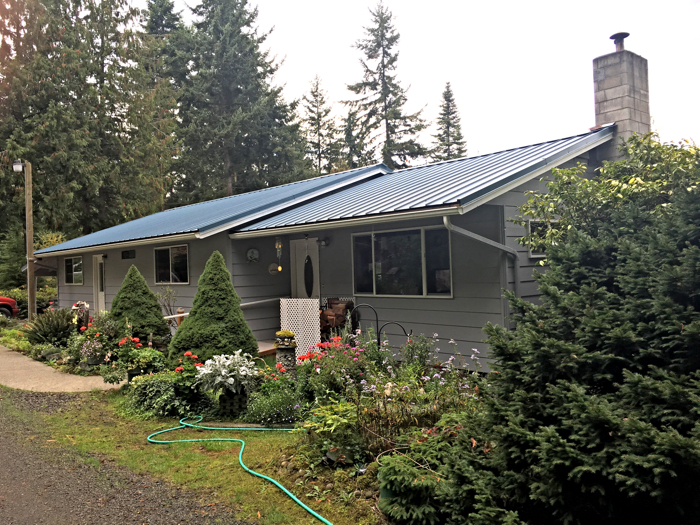 This Sequim home on acreage (3 acres) is in the famous Sequim Blue Hole, aka the Sequim Rain Shadow, and with a panoramic mountain view, this is premium property. But the home itself is one of the highest quality custom built homes in the entire area. I represented the buyers on this $645,000 purchase. By the way, notice that tax assessed values are often way low. This home is assessed for almost $200,000 less than it sold for. That is not uncommon in Clallam County. 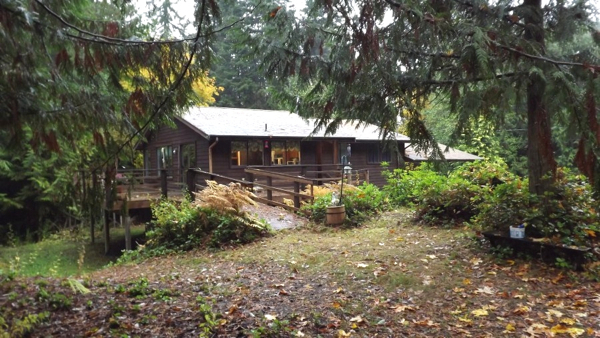 One of the Sequim homes recently sold is this beautiful country home on three acres. 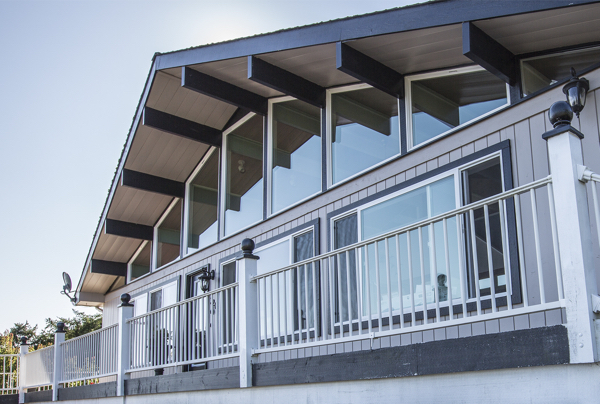 It was built by a custom home builder who only built one or two homes a year. When he was almost finished with this home, the recession had hit and he couldn’t sell it. He let the bank take it back, and it was eventually sold to someone who finished it. After enjoying the home for several years, that owner contacted me to sell it. A buyer from another state saw this home and fell in love. The buyer is an employee of Costco and was extremely happy about getting the opportunity to transfer to Sequim. 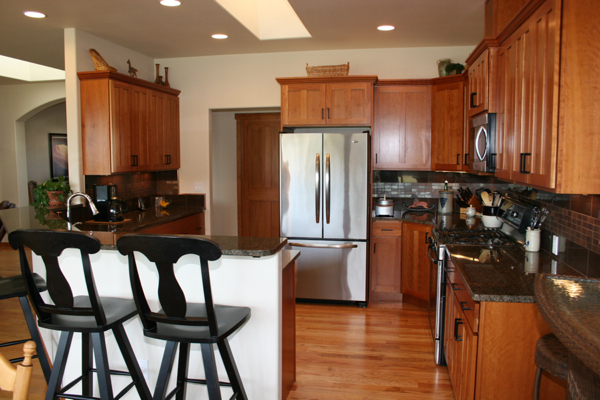 This is a 3 bedroom, 3 bath home with a gorgeous kitchen and an open floor plan. The master bath has a full soaking tub with jets, a full double shower, double sinks, and lots of natural lighting. This home sold for $375,000. I represented the buyer and the seller as a dual agent. The seller was happy because I sold their home in 4 days, and the buyers think they are living in Heaven. Both are quite happy. This Sequim Townhome or Condo is on Marine Drive with a view of the Strait and the Sequim-Dungeness Lighthouse. I represented the buyers on this transaction, and this unit on the right side sold for $331,000. The is a 3 bedroom, 2 bath in 1,700 sq.ft. plus a garage built in 1977. So the home needs updating, especially in the kitchen. The location is pretty hot on Marine Drive. Properties on Marine Drive sell at a premium. This Sequim Townhome has a walking trail about 100 feet in front of the home that goes down to the beach for those early morning or evening walks. There is also a public boat launch about a quarter mile away. 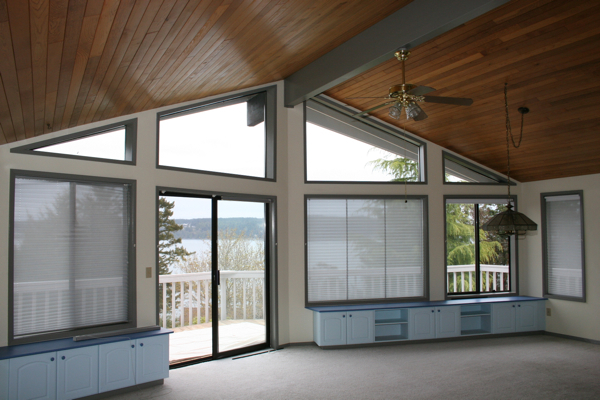 The windows from the living room and the family room offer a gorgeous and peaceful water view. Who doesn’t love a water view? 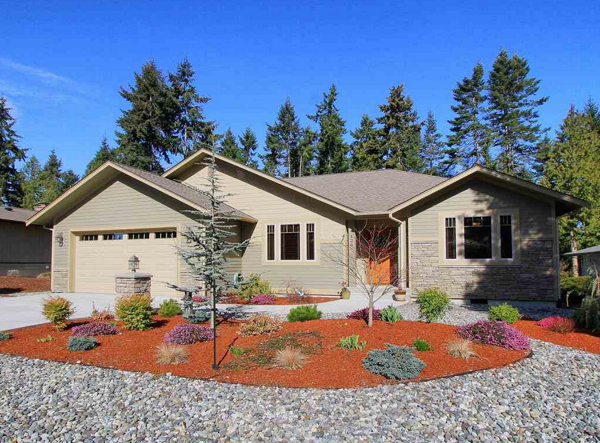 This Sequim home sold recently, and of all Sequim homes, it is one of the most beautiful homes in one of the best areas in the center of the Blue Hole. 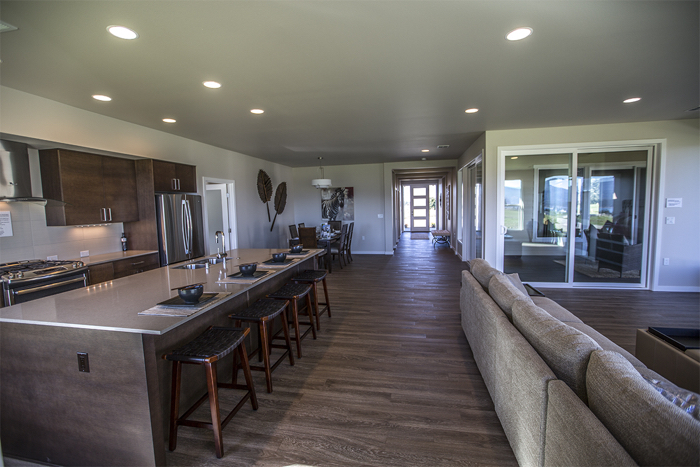 This brand new home was built in a Sequim subdivision called Cedar Ridge, and the home is the latest in modern construction and technology, not to mention an incredible floor plan. The home is just under 2,400 square feet with a stunning open floor plan that makes everyone go “Wow” as soon as they walk in the front door and down the hallway. Building or buying an existing home is still a challenging decision every buyer must make, but this buyer decided they wanted a brand new home with their idea of the perfect floor plan. This home and lot sold for $445,000, and I represented the buyers. 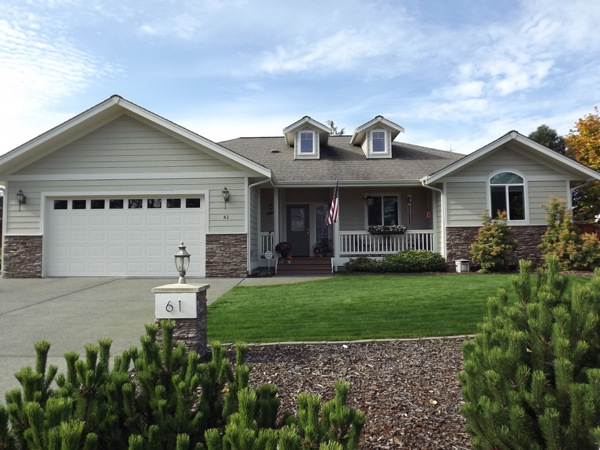 This perfect little Emerald Highlands home overlooking Sequim is a 3 bedroom, 2 bath home right in the top of the bell curve of what so many retirees want. 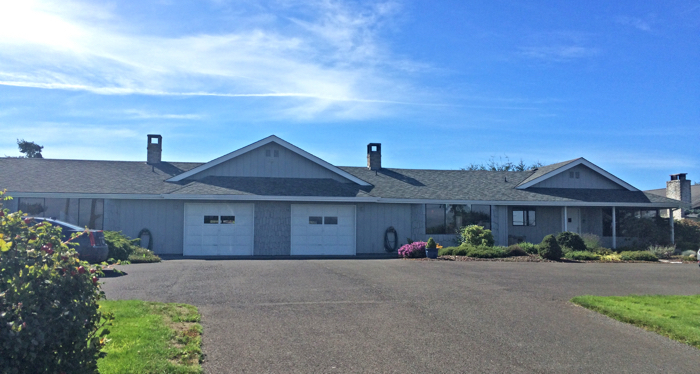 At just under 1,800 square feet with an attached double garage only minutes from downtown Sequim, this is a wonderful property. The landscaping in the back yard is also incredible, and since seller’s do not get reimbursed in the selling price of the home, this buyer got all this beautiful landscaping free. 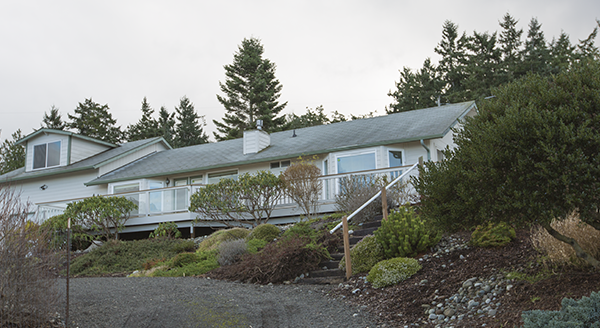 Emerald Highlands is a subdivision on the south side of Highway 101 overlooking the city of Sequim, and since it is on a hillside, many of the homes, including this one, have a water view of the Strait of Juan de Fuca. This home sold for $327,500, and I represented the buyers. 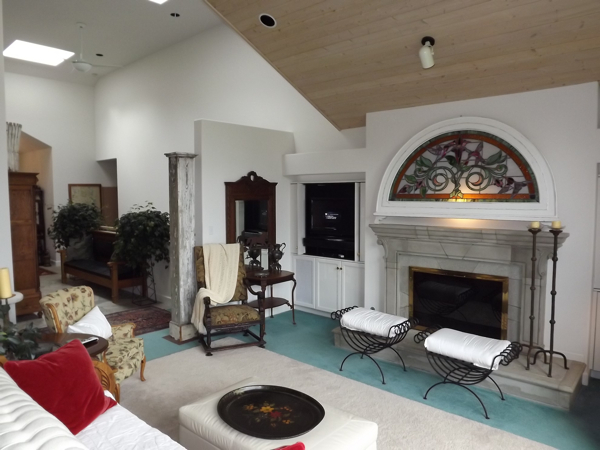 This Bell Hill Home (Bell Gates which is adjacent to Bell Hill) is one of Sequim’s gorgeous luxury homes with 5,000 square feet, two levels, hardwood floors, and over $100,000 in custom wood molding throughout the house. Not every Bell Hill home has a water view, but this home certainly does. This is the kind of luxury home that was built without any shortcuts. If you are going to build a one million dollar home, you’re probably not going to use cheap materials or take shortcuts on wood working or paint or the quality of labor you hire. This seller and builder did not hold anything back when building this home. If it were built today, it would cost substantially more than what it sold for. This home sold for $950,000, and I represented the sellers. The buyers were from California. 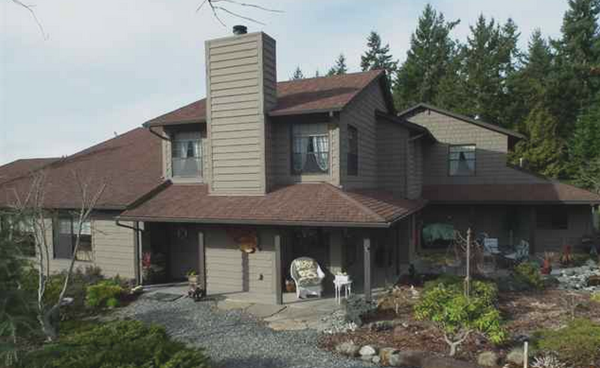 Another Sequim home just sold. This home was only on the market for 22 days before it sold. 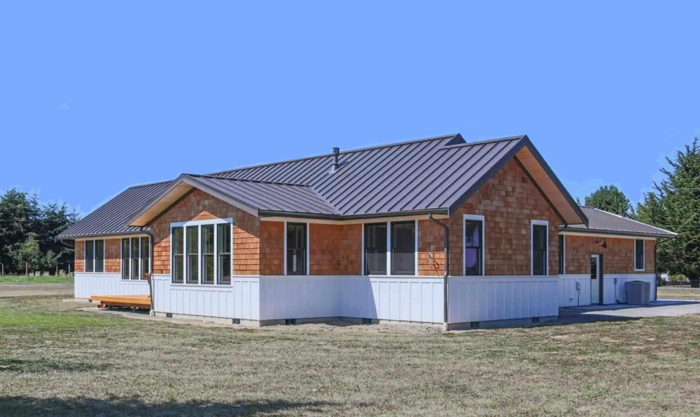 It sits on a beautiful little one acre parcel with an old but small barn. With 2,082 square feet, three small bedrooms, and a kitchen that could use remodeling, it sold for $200,000. It isn’t the home that most retirees are looking for, but it was an ideal starter home for a younger couple. It was listed at $209,000. I represented the sellers on this one. 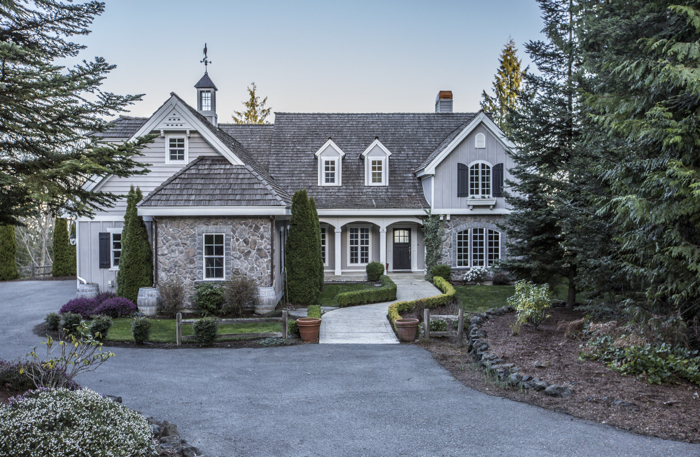 Some people view me as a buyer’s agent, and I am, but some Sequim home sellers have noticed that I market to buyers with a larger Internet marketing presence than any other individual broker, especially with my thousands of articles online written specifically for buyers. So some Sequim homeowners are finally doing their online research and finding me, and they call to ask if I would consider listing their homes. This Sequim mini-farm is pretty special. It’s only 2.58 acres, but it is 100% useable land, and the entire property is fenced for animals. There is a barn and two garages, and the house was built in 1976 but is in very good condition. 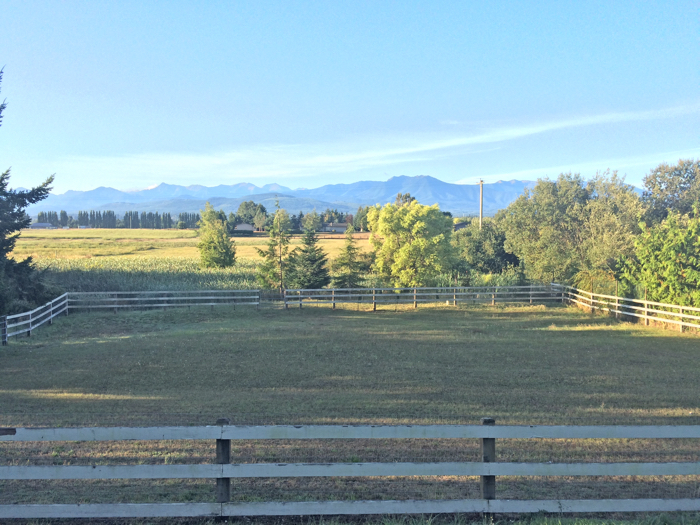 The property has irrigation rights, and a panoramic view of the Olympic Mountains. This Sequim mini-farm is definitely one of the best. It’s a 3 bedroom, 2 bath, 1,850 square foot home on one level. The deck is on the south side of the house, which means it has the mountain view, and the deck is shielded on windy days. This home sold for $385,000 and had another backup offer. I represented the buyer in this transaction. Diamond Point Homes have some of the best water views, and this one sold recently for $240,000. Of course, it includes a Diamond Point Water View as do many Diamond Point Homes, and with 2 bedrooms, 2 baths and 1,800 square feet, it is just what these buyers wanted. Above the double garage is a very cool guest room, which is set up as a nice office or reading area right now. The driveway is a little steep, but if you want a water view you have to consider the possibility that the house will be on a hillside with a steep driveway. I represented the buyers on this purchase. 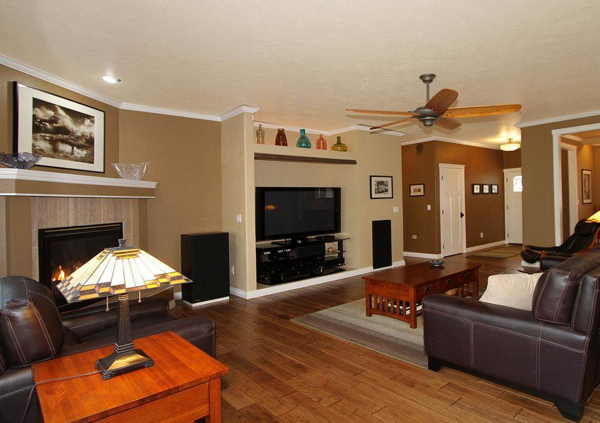 This gorgeous Happy Valley home sold recently for $487,000. It is classic custom built home with a floor plan that was obviously well thought out by someone who knows what buyers want. In this case, the sellers designed this home, but they designed it as the vast majority of retirees would design their own homes: all on one level, a stunning kitchen, an open floor plan, a big but comfortable master bedroom with a master bath, walk-in closet and a sitting area. 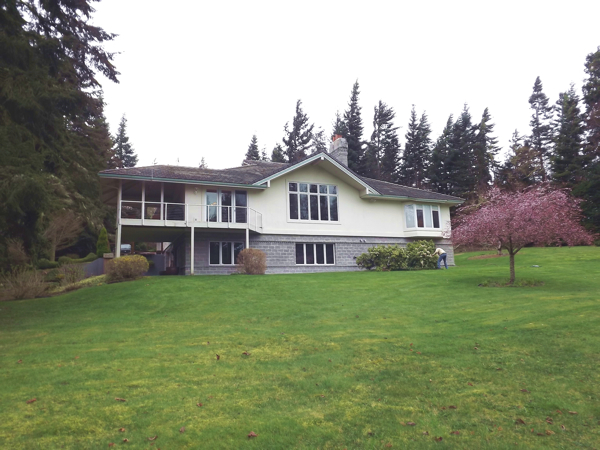 This is 3 level acres, and it also has a view of the Olympic Mountains. This was a tough negotiation, because the sellers were a bit stubborn and not under any financial pressure to sell. But they wanted to live closer to the grandkids, so that was their motivation. I represented the buyers on the purchase of this Happy Valley Home. By the way, my buyers were from New York. This Bell Hill home was one of the early homes built (1992) on one of the best lots with what some of us have considered the best water view from Bell Hill. This Bell Hill home sold for $660,000. I represented the sellers, and helped them market their home to buyers all over the world, and the buyer was from overseas, although they are Americans. The lot is a one acre lot, and the home is custom built to take advantage of the water view from every room in the home. 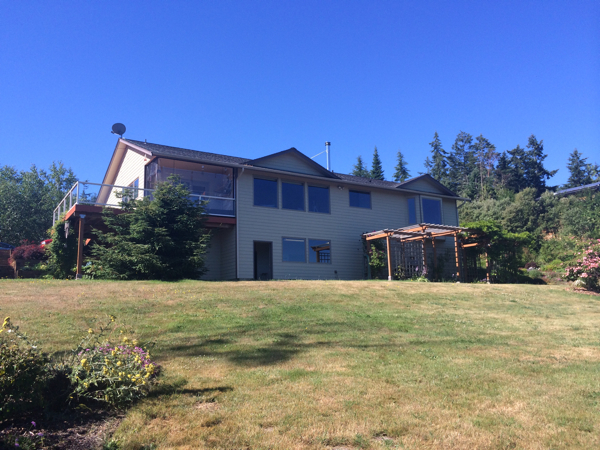 This is one of the finest custom designed and custom built homes in all of Clallam County, and it has a close up view of a mountain, Hurricane Ridge. 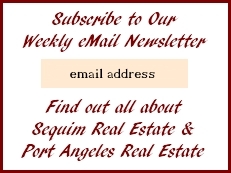 It is located between Sequim and Port Angeles on the P.A. side. 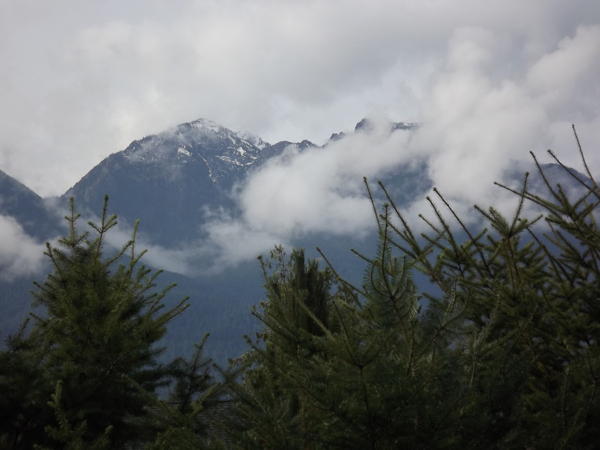 Some of the best mountain views on the Olympic Peninsula are near Port Angeles. This home is a 3 bedroom, 2 full bath and 2 partial baths, and 2,446 square feet. I represented the buyers, and this home sold for $525,000. This home was like finding the proverbial needle in a haystack. When my buyers and I first looked at it, we both knew it was an extraordinary home for an ordinary price, and it was a done deal after negotiating a little. With 2 bedrooms plus a den, 2 baths, and everything on the main floor (with a daylight basement that has a shop in it), and about 1,800 square feet, this was the perfect retiree’s home. 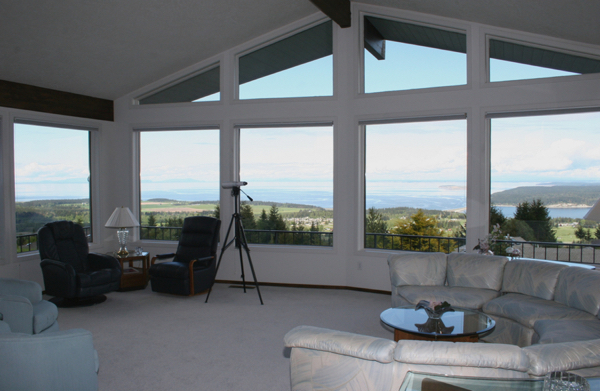 Did I mention it also has a Sequim water view from Palo Alto Road? 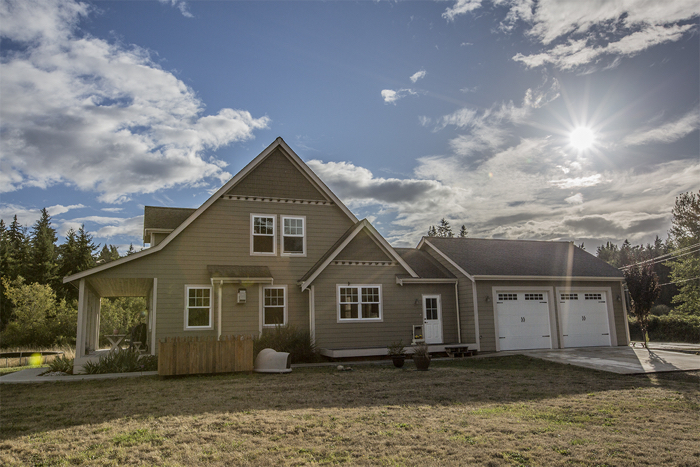 This Sequim home on 1 acre is one of the highest quality custom built homes in the area, and it is a short walk from the Dungeness Spit. Three bedrooms, 2 baths, an open floor plan for the living room, dining room, and kitchen with a gas fireplace and hardwood floors make this a beautiful home. But what makes it an amazing home is the floor plan. It flows and somehow is very comfortable at the emotional level. This home sold for $415,000. I represented the buyers and the sellers on this transaction, which was unique, but both the sellers and buyers found the way I conducted myself as a dual agent was absolutely uncompromising for each of them, and they both wrote me praising testimonials. I share that because dual agency can be dangerous to your financial health if not handled right. This Diamond Point water view was worth $235,000 and came with a two story home and detached double garage. The second floor has a deck with large windows on the east end of the house facing the water. There was only one bedroom on that main floor, which also had everything else, and the daylight basement had spare rooms. Diamond Point has a lot of water views, and this was a good price for this kind of view and home. I represented the seller on this one. 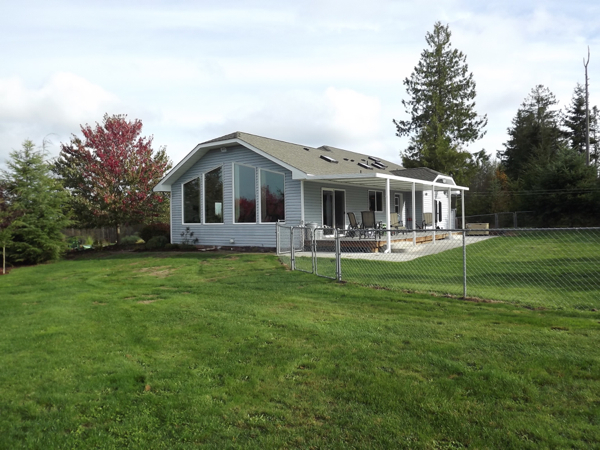 On a previous sale I wrote that it is hard to find a home on 5 acres, and it is, but I represented the buyer on the purchase of this Sequim home on 6 acres in a quiet little area only four miles from downtown Sequim. It’s a small home with 2 bedrooms and 1 bathroom, but my single buyer is absolutely ecstatic to be able to find this at $239,000. We had some challenges getting the out of town lender to do their job, but ultimately we worked through all that to close. 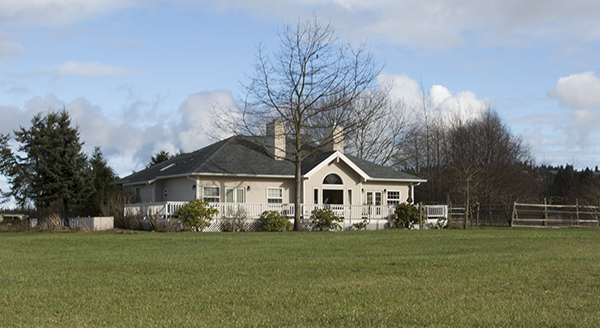 This Sequim home on 5 acres was on the market for a while before I sold it to buyers from Oregon. It’s a beautiful 5 acre parcel, all of which is useable because it is level and cleared. 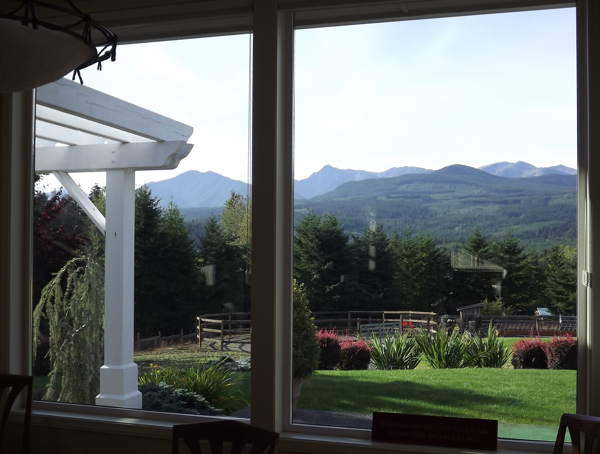 There’s a nice mountain view to the south, and this property is sitting very near the center of the Sequim Blue Hole. It’s hard to find a home on 5 acres at a reasonable price, and at $405,000, this was a good price right in there at fair market value. It was built in 2005 and is 2,018 square feet with a master bedroom at each end plus a bedroom. The double garage is on the other side of the house. My buyers on this home were very fortunate, because this home is just perfect, and for a small lot, it is surprisingly private and to the south are nothing but trees below and a mountain view on the horizon. This three bedroom, two bath home, 1852 square foot home sits on .40 acres (less than 1/2 acre) and was built in 1986. 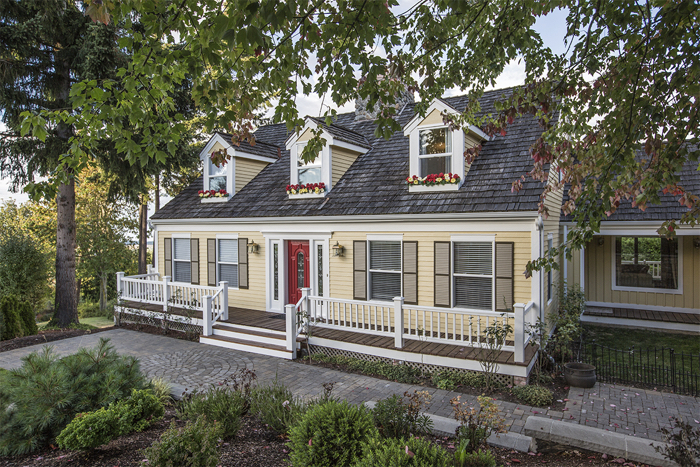 This Sequim home was in perfect condition, even though it is older. The owners kept it maintained fastidiously, so the buyers moved in without any need to update anything. This Carlsborg home is a very nice medium custom quality home with a large two car garage on a very large lot, all fenced in back for the dogs. The kitchen is what you might call a country kitchen, because it is so large and has a table and chairs in it to boot. I represented the seller, an estate for the three beneficiaries. This home sold for an incredible price of $210,000. Yea, that was a pretty darn good price, but that’s what supply and demand established. 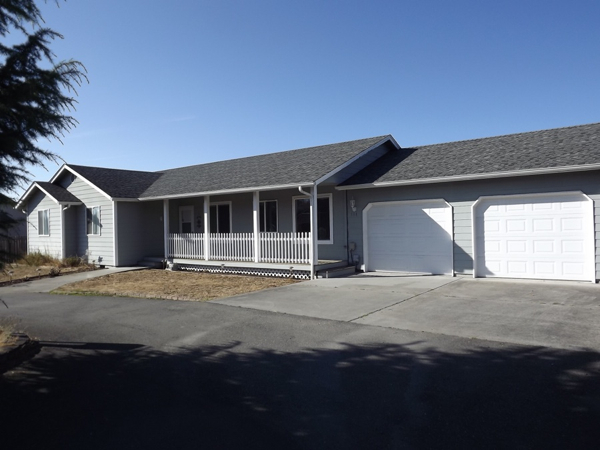 This cute Sequim home is very close to town, only about a half mile to Safeway. 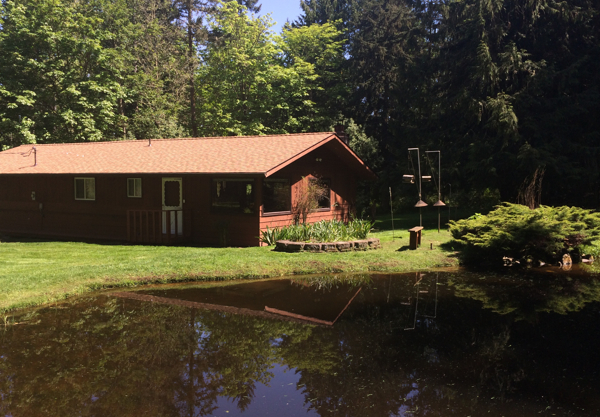 It is a 3 bedroom, 2 bath, 1,800 square foot home on .23 acres (1/4 of an acre). It is immaculate and has a beautiful back deck for grilling and entertaining. 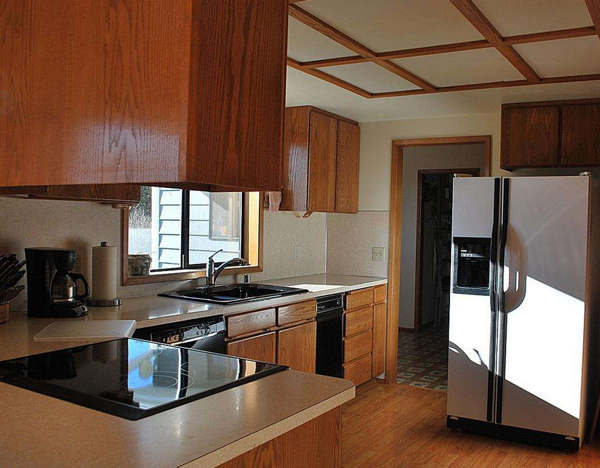 With a modern kitchen and large master bedroom and bathroom, this was a bargain at $295,000. I represented the sellers on this home. This country home on 5 acres sold for $200,000. It sits at the end of a private road, so there is no traffic at all. It’s an older home, about 40 years old, and the basement is unfinished. The upstairs needs some upgrading as you might imagine, but for the buyer who is a handyman, this is a property he could not have otherwise found at this price. It’s hard to find a country home on 5 acres with any privacy like this, so this was like finding a needle in the haystack for this buyer. I represented the seller. I sold this Sequim mini farm twice, and here it is again. Fifteen beautiful acres with one of the best mountain views in the county, a Hollywood style home that is right out of a magazine, a barn, a year round pond and irrigation system, and a whole lot more. What’s not to like? See my earlier sale at Sequim Homes Just Sold. I love this Sequim mini farm. 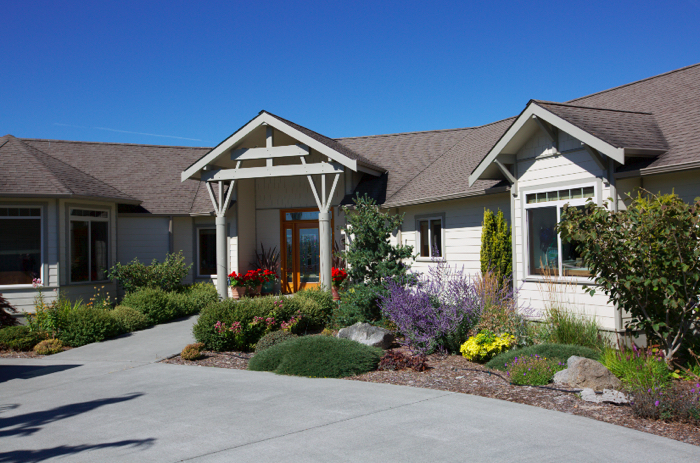 This Sequim custom home was built with great attention to the quality of the materials and labor. It’s nearly the perfect home for most Sequim retirees. It is an updated country style home, and has a gorgeous big deck. Plus it sits in a beautiful location far from the traffic noise of Highway 101, and there is a stunning water view with Protection Island in the distance. Sunland real estate has made a comeback from the long recession. This home is one of the newest and most beautiful homes in Sunland. The floor plan and the custom quality of the interior are what caught my buyer’s attention the first time they saw it. With 3 bedrooms, 2 baths, and 1,765 square feet, and within a short golf cart ride to the course, this is the best of Sunland real estate. This home was listed at $324,900 and it was only on the market for 8 days before my clients reached an agreement with the sellers. The selling price was the listing price. It was priced right, and the buyers knew that. While Sunland is known as a golf community, 85% of the residents to not play golf. They just love living in a beautiful development like Sunland. 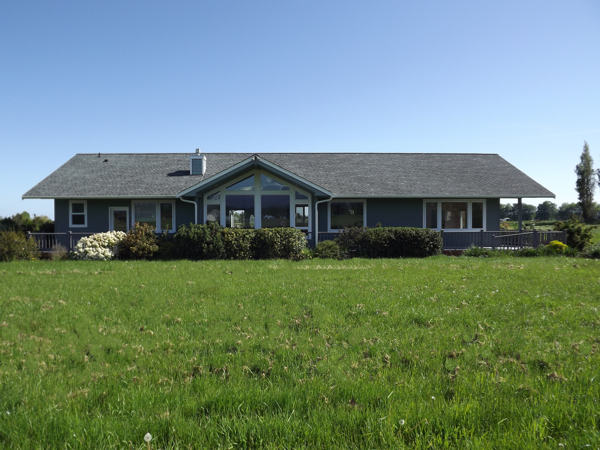 This Sequim home with a barn also has a water view and includes over five acres of beautiful property. There’s even a creek that runs through it. From the house it is a short walk to the beach. This is an amazing home. But wait, it gets better. This home was designed by a master architect for himself, and he poured everything he ever learned into the ultimate master design. With 3 bedrooms, 3 baths, and 4,100 square feet, it’s very roomy and because of it’s design, it is very comfortable. I represented the buyers in this transaction. It was listed for $625,000 and on the market for 306 days. The price was reduced to $585,000, and my clients negotiated a final selling price of $550,000. While that is a big price tag, this home probably cost the seller in the neighborhood of $850,000. Even at $550,000 this was a extraordinary bargain for my buyers. 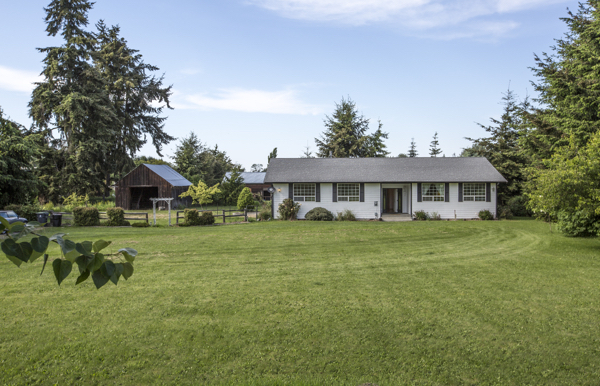 If you are looking for a Sequim home with a barn, you can view all MLS listings with any kind of barn or shop at Sequim Home With a Barn. This home sold to buyers who wanted 5 acres to graze their horse, and they wanted a big house, because they had a family that was used to living in a big home. Since this home is in Happy Valley within walking distance of mountain trails, it couldn’t be more perfect for my buyers. I represented the buyers and this home sold for $518,000. What a gorgeous horse property. This home is right in the bell curve of what retirees really consider an ideal home with 3 bedrooms, 2 baths, a double garage, a gorgeous modern kitchen, a stunning mountain view from the living and dining room windows, and five private green acres. There are no stairs in this house, not one, not even from the garage into the house. What a peaceful setting, and with Hurricane Ridge out the back yard, this is definitely a piece of Heaven. And get this, it sold for $292,500. I represented the sellers.